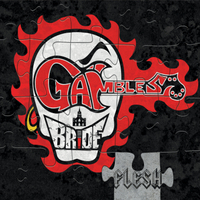 Gamble's Bride is the newest Artist released on the Urban Renaissance Music Group label. This debut CD release entitled Flesh is a Rock CD with a melodic edgy atmospheric funky soulful original sound that has a variety of well written and produced songs with some amazing guest musicians along with the brilliant and awesome vocals of Gene McBride. This CD is destined to be a classic.